A compelling and heartrending tale of lost love, family secrets, and those little moments that can change your life forever . . . When Natasha Kapoor returns to her grandparents’ idyllic coastal home for her beloved grandmother’s funeral, her life is at a turning point. She thought by now she’d be a successful jewelry designer in London with a perfect marriage. Instead, she’s got mounting bills and a soon-to-be ex. After the funeral, Natasha’s grandfather gives her the long-lost diary of her aunt Cecily. No one in her large and complicated family has ever discussed the tragic accident that took Cecily’s life as a teenager, and within the diary’s pages, Natasha finds a gripping and shocking tale of forbidden love, rivalry, and heartbreak. Nearly fifty years later, will Cecily’s diary finally explain her family’s dark past and the terrible secret her aunt left behind? Is it possible it’s just the inspiration Natasha needs to take a fresh look at her future, and maybe even give love a second chance? Fans of Jennifer Weiner and Emily Giffin will get hooked on internationally bestselling author Harriet Evans’s warm, witty, and absorbing novel filled with original, rootworthy characters and complex family issues. This reading group guide for Love Always includes an introduction, discussion questions, and ideas for enhancing your book club. The suggested questions are intended to help your reading group find new and interesting angles and topics for your discussion. We hope that these ideas will enrich your conversation and increase your enjoyment of the book. Love Always tells the story of Natasha Kapoor, a woman whose life is at a turning point. Her marriage is failing, her business is going bankrupt, and her beloved grandmother just died—leaving her large and complicated family to sell their family vacation home in Cornwall. In the midst of heartache and loss, Natasha finds comfort in reading the long-lost diary of her aunt Cecily, who died in a tragic accident when she was fifteen years old and whose death has never been discussed. Reading the diary, Natasha learns secrets that have remained hidden for more than forty years, and finds inspiration in the words of the aunt she never knew. 1. The novel opens with Natasha’s train ride from London to Cornwall for her grandmother’s funeral. Looking out the window during the long journey, Natasha notices as they move “further and further west, the landscape is wilder, and though spring feels far away, there are tiny green buds on the black branches fringing the railway tracks.” (p. 17) Consider the ways in which the change in landscape alters Natasha. Is she happier in Cornwall than in London? Why is Summercove so important to Natasha? 2. At the funeral there is a palpable tension between the family members. Natasha remarks “this is what we’re like now Granny’s not here. It’s all changed, and I don’t know how, or why.” (p. 61) What has changed in the family dynamic now that Frances has died? What has stayed the same? What has changed for Natasha? 3. Compare Miranda and Louisa. How are they alike? How are they different? Do you sympathize with one more than the other? Who do you think Natasha sympathizes with more? Do her sympathies shift throughout the course of the novel? 4. Revisit the scene where Arvind gives Cecily’s diary to Natasha. What do you think is his motivation for doing so? Why did he choose to share the diary with Natasha and no one else? What do you think he meant by the family being “poisoned”? Was he including himself and Natasha? Turn to pages 75–76 and discuss. 5. On page 76, Arvind says: “Freedom comes in many guises.” In light of this quote, think about the unconventional ways in which the characters in the novel achieve a sense of freedom. Is the path to freedom through heartache? Consider Natasha, Miranda, Frances, Arvind, and Louisa in your response. 6. Were you surprised by Octavia’s assertion that Miranda killed Cecily? Did you believe her initially? Why would Louisa and her family find Miranda at fault? 7. How would you define Oli’s character? Do you see him as sympathetic? How does Natasha see him? How does Miranda? 8. “I know all men were created equal. But we’re the only different people we know.” (p. 136) Discuss the role of race in the novel. How does being half British and half Pakistani affect Archie? Miranda? Cecily? What role, if any, does race play in Natasha’s life? In Jay’s? 9. Consider for a moment the structure of the story. What effect does the diary and the leap back in time have on the story overall? Did you feel more connected to Cecily’s story or Natasha’s? Can you make any comparisons between the two women and their lives? 10. Discuss Frances’s character before Cecily’s death. Did you like her? What about after her death? Do you forgive Frances for what happened more than forty years ago? Why or why not? 11. “And then something strange happens. The diary is in Mum’s hand, and it suddenly flies out, eddying away on a huge arching gust of wind.” (p. 417) Do you think Miranda let the diary go on purpose? Do you think she let the diary go so that everyone in the family could continue to be protected from the truth? 12. Revisit the scene on pages 422–437 where Natasha realizes Guy is her father. Did you anticipate this to be the case or were you shocked? Do you think this event allows Natasha to be more open to love, now that she has discovered both the mystery of her extended and her immediate family? 13. In the end Natasha finally allows herself to be open to love and happiness. As she kisses Ben she looks up at the sky and thinks of everyone in her life “just trying to be part of one big happy family, whatever on earth that is.” (p. 449) Did this moment in the story give you the feeling that Natasha’s journey has been resolved? Has she found what she has been searching for? Why or why not? 1. 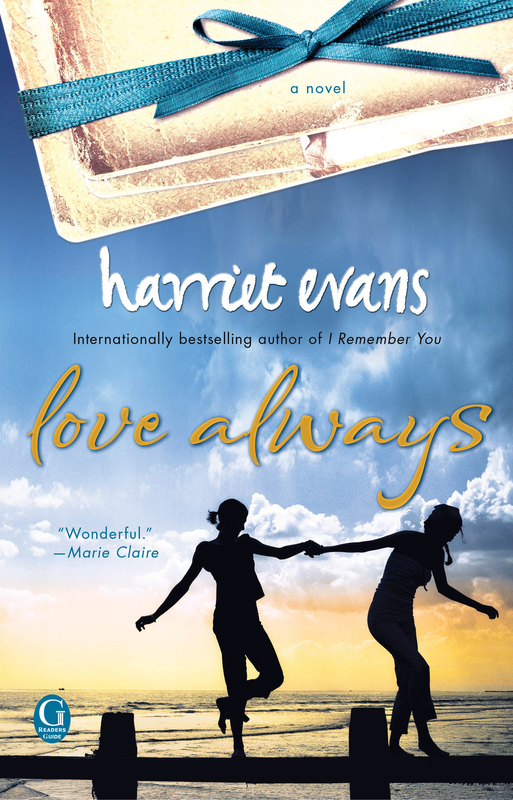 Harriet Evans’s books are international bestsellers. Have your book club do a series on her. 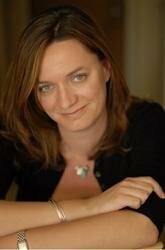 Read her two most recent novels—I Remember You and The Love of Her Life. What themes do you notice in her work? What message do you think Evans is sending to her audience? Which of these books was your favorite? The favorite of the group? 2. “Granny died in her sleep last Friday. She was eighty-nine. The funny thing is, it still shocked me. Booking my train tickets to come down to Cornwall, in February, it seemed all wrong, as though I was in a bad dream.” (p. 7–8) Grief and dealing with tragedy, loss and heartache play major roles in the story. Have your group reflect on grief: what it means, how it impacts our day-to-day lives, how we move on afterwards or if we ever can. Have each member share a moment of grief or loss. Did your family grow closer in the wake of a difficult situation or tragedy? Do you think the Kapoors grew closer? Why or why not? We can never go back, that much is certain. The past is still too close to us. The things we have tried to forget and put behind us would stir again, and that sense of fear, of furtive unrest, struggling at length to blind unreasoning panic—now mercifully stilled, thank God—might in some manner unforeseen become a living companion, as it had been before. Why do you think the author chose to include this quote as the opening of her novel? Have a movie night with your book club and rent the made-for-TV-movie Rebecca (TV 1997), based on the famous gothic novel. What is the connection between Rebecca and Love Always? 4. On page 68 Miranda tells Natasha: “relationships aren’t perfect. They’re not. You have to work at them.” In many ways, this moment indicates the version of Miranda we come to know by the end of the story—the woman who is willing to sacrifice her happiness to protect her family. Over a traditional Indian meal, discuss relationships, both in the novel and in your own life. What are examples of having to work at a relationship in your own life? In the story? Might Miranda have been speaking not only of Oli and Natasha, but her parents’ relationship, or her relationship (or lack thereof ) with Guy?